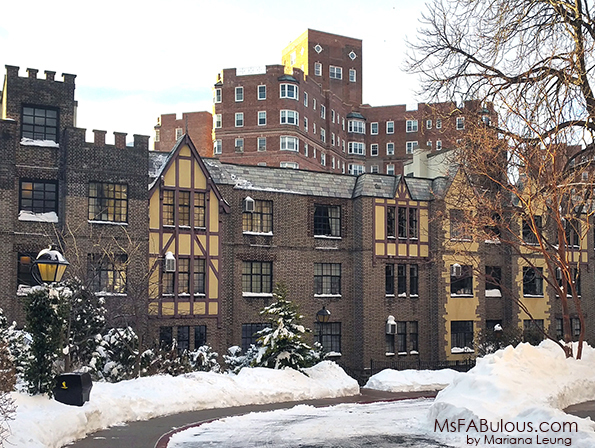 Winter snow is officially back in NYC right in time to freeze out my NY Fashion Week again. I am excited to work with Walmart.com on how I incorporate Dove Body Wash into my routine. My skin takes an absolute beating during this time of year and the lack of sleep during NYFW does not help. When my skin is dry and itchy, it is a distraction when I am in the photographer’s pit trying to shoot. The very first thing I do in the morning is shower Dove’s Deep Moisture Nourishing Body Wash. I have used variations of this since college. My skin gets flaky and tough when it gets cold. Over the years, I have had bouts with skin rashes as well where allergies and sensitivity cause hives to flare up. Dove’s moisturizing body washes are much better than soap or shower gel because your skin retains the moisturizing effects after you towel off. As one of the #1 dermatologist recommended products, the gentle cleansers don’t irritate my often already uncomfortable skin. Do you see how much snow I got during the last snowstorm? I sometimes fantasize about jumping into a giant tub of lotion in the winter. Instead, I make sure to implement super ingredients like Moroccan Argan oil in my routine. Having purchased some Argan oil directly from Berber women who hand-ground the nuts from the Moroccan mountains during a 2008 trip, I was a little spoiled on this. No longer having access to this hookup, Dove Dry OilMoisture is my savior as it has an advanced formula with Moroccan Argan oil infused. Other tips for staying soft in the winter? Scrub, scrub scrub. I have a vibrating facial brush, giant bath brush and pumice stone for my feat. 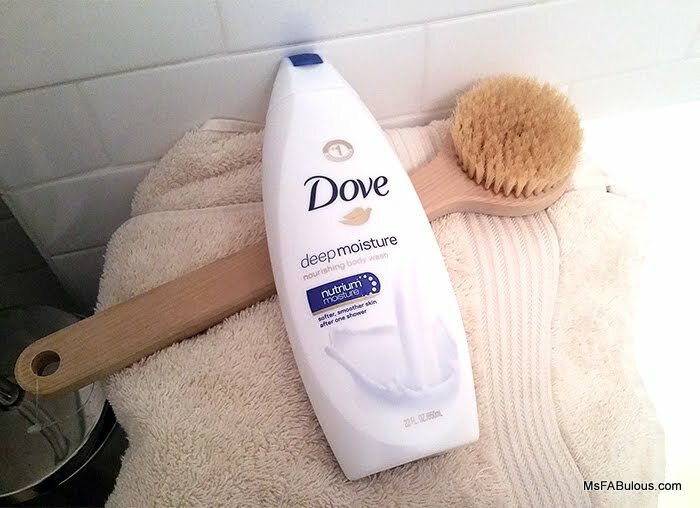 The Dove Deep Moisture Nourishing body wash lathers beautifully with a brush. Exfoliating first helps other products work better. My last tip is to wear warm socks immediately after moisturizing my feet. So there you have it, my winter beauty regimen for NYFW during the winter. This is a sponsored post written by me on behalf of Walmart.com and Dove.